I am really fortunate to get invited to my fair share of local blogging events, especially since taking over my local blogging network – the Bournemouth Bloggers last year, but a few weeks ago an invite landed in my inbox which made my eyes light up. La Piccola Italia, a local Italian restaurant, had invited myself and several other local bloggers along to sample their bottomless prosecco brunch. The event included pizza and prosecco, two of my favourite things and I was so excited! I haven’t actually been to brunch before, so I was a little confused what to expect and what to wear, especially as the weather had taken a turn for the worse since I came back from holiday, and it was raining on and off on Saturday when I headed over to La Piccola Italia to meet up with the other bloggers. In the end I went for a thoroughly autumnal outfit of jeans and knee high boots. Arriving at the venue a few minutes early, I met up with the lovely Tara from Face the Fun, and we headed inside where we were greeted by two members of staff and shown to our table in the window. The restaurant looks tiny from the outside, but it goes back quite far and has a really lovely intimate vibe to it. I loved the decor, very kitsch with lots of little details dotted around. Once the other bloggers had arrived, we were given a little more information on what the brunch involved, and told that we would be brought out a selection of cicchetti (small plates), Taglieri (charcuterie boards) and pizzette (small pizzas), and that our glasses of Prosecco would be topped up as we went along. It sounded perfect! A couple of members of our party were vegetarian, and the staff were happy to bring out a separate menu for them. I hadn’t been keen on the items on offer for the cicchetti, but once they were brought out, I gave some of them a go and actually really enjoyed the tortellini fritti (fried cheese tortellini, which tasted a bit like crisps) and the yellow and green tomatoes (I’m a sucker for tomatoes in general but hadn’t tried other coloured ones before). I was even persuaded, a couple of glasses of prosecco in, to try the mussels. They weren’t something I would have again, but it was good to try something a little different! After this, we were provided with the charcuterie boards, which included items such as pancetta, parma ham, goats cheese and gorgonzola as well as crisp freshly made breads. Again, these aren’t dishes I would usually go for, but everybody else happily tucked in and I was enjoying the prosecco and having a lovely catch up with the other girls over our food. Next up was the pizzettes, small freshly prepared pizzas with a variety of toppings. My favourites were the Diavola, with soppressata Calabrese and fresh chilli, it had quite a bit of a kick to it, and the Tonno e Cipolla with tuna and red onion, which was so tasty I went back for seconds (I don’t think it was as popular with everybody else). There were also pizzas with olives, artichokes and mozzarella and four cheese varieties, providing something to suit every palette. Throughout the meal our glasses were topped up as we finished them, and by the end I was feeling more than a little merry. It was such a lovely event, and would be perfect for a group of friends looking to have a relaxed catch up, or as a celebration for something like a hen party or birthday. I think it was pretty good value for £25 per person, as there was plenty of food to go around, and the bubbles were three flowing throughout the hour and a half we were there for. The staff were lovely and accommodating and the venue was small enough for us to be in close proximity to each other, without feeling too cramped. 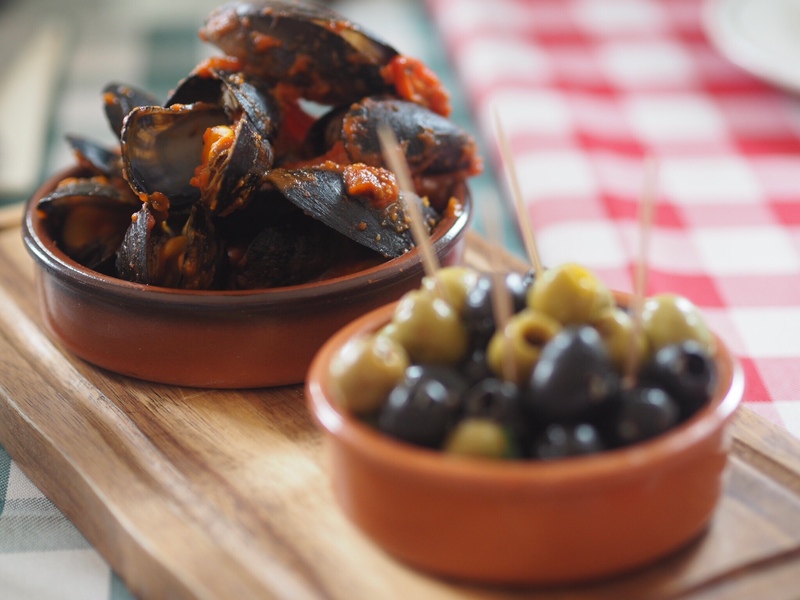 If you’re interested in heading along, the Bottomless Prosecco brunch at La Piccola Italia in Bournemouth runs every Saturday between 12pm and 5pm, with booking recommended to secure your 90 minute slot. I was invited along to sample the brunch for the purpose of this post, however all opinions and images are my own.